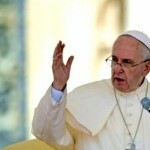 Pope Francis: Praxis vs. Doctrine? “Realities are more important than ideas.” This is one of the four principles Pope Francis lists in “Evangelii Gaudium,” the apostolic exhortation that represents a sort of program for his pontificate. This principle will perhaps be put into practice in the upcoming months, in another apostolic exhortation, the second by Pope Francis. Who Pope Francis really is will be understood thanks to this document. After the controversial discussions at the synod on the family, the Pope’s word is called upon to close a widely debated topic. Though it formally remained orthodox, the synod’s Final Report presented some openings that allegedly trumped orthodoxy with an appeal to the primacy of conscience. Everything seemed as if it were left to the pragmatic interpretation of each individual priest. Doctrine seemed set aside in some ways. With his post-synodal exhortation, Pope Francis is called upon to clarify the issue, and to explain how the Church will develop the doctrine on marriage and family. There are those who think that a pragmatic adaptation of the doctrine to the signs of the times is needed: will their point of view prevail? Or will Pope Francis keep the doctrinal bar high, making a choice that would recall Paul VI’s decision in drafting the encyclical “Humanae Vitae”? The draft is already in discussion within the Vatican. Sources either don’t know or don’t say who actually composed the draft. It is known that Pope Francis already reviewed it three times. It is also known that the Congregation for the Doctrine of the Faith sent a long note with several doctrinal remarks – it is rumored the note was 40 pages in length. Pope Francis finds it hard to make a final decision. Behind the Pope a subtle war is being fought. If Pope Francis has spoken, more and more often, of the “terrorism of gossip”, it is also true that many of the defenders of doctrine risk being taken down because of this terrorism, a terrorism perpetuated by a circle carrying forward a precise agenda behind Pope Francis’ back. It is impossible to assess how much Pope Francis is aware of this internal struggle, and how much the changes – also in the Church’s government – were influenced by it. Pope Francis often seems like an old-fashioned parish priest. In his words one finds many of the concerns of popular piety that he appreciates a lot – he adhered in the past to the “theology of the people” more than to the “theology of liberation”. In his speeches there are many traditional Jesuit topics. In a recent morning Mass in the Domus Sanctae Marthae he spoke about the discernment of spirits in St. Ignatius of Loyola. He took the notion of the Church as “Holy Hierarchical Mother” from the Founder of the Jesuits, and even Confession has been a leit motif of his pontificate. On the other hand, Pope Francis’ words are sometimes misinterpreted. He deconstructs some of the “key words” of his pontificate in the book-interview “The Name of God is Mercy”. For example, he diminished the importance of his famous statement, “Who I am to judge?” with regard to homosexuals, saying that it is just what is taught in the Catechism of the Catholic Church. When the Pope speaks about divorced and remarried persons, he tells the story of the divorced and remarried man who continually goes to Confession though he knows he cannot receive Communion. However, the argument is left open. We cannot understand whether Pope Francis prefers that this man should have access to Communion or whether the Pope is praising the faith of the man who keeps in touch with the priest even if he cannot receive Communion. In this ambiguity lie many of the questions left open in the current pontificate. Pope Francis combines some “old-fashioned” themes with a pragmatic Latin American spirit. He rarely indulges in intellectual reasoning. “Realities are more important than ideas.” This notion brought the Pope – for example – to speak off the cuff at the Lutheran Church in Rome, conveying in the speech the idea that he wants to set aside theological divisions and proceed immediately to inter-communion. “Realities are more important than ideas.” On the basis of this rationale, Archbishop José Rodriguez Carballo, Secretary of the Congregation for the Institutes of Consecrated Life, said two years ago that Pope Francis let it be known that the crisis of vocations to the religious life should perhaps prompt some reform in canon law. “Realities are more important than ideas.” On the basis of this principle, Pope Francis has changed – and is changing – the profile of bishops. A good part of the bishops he appointed are active in social issues and they view favorably an adaptation of doctrine to meet the needs and requests of people. The rationale behind everything is apparently that keeping the bar of doctrine high leads to a certain rigidity that would close the doors to new faithful. But the missionary Church outlined by Pope Francis looks at the faithful’s needs and accompanies people. It is a field hospital, in Pope Francis’ words. This point of view was rejected by Fr. Piero Gheddo, a longstanding missionary. Fr. Gheddo did not directly oppose the Pope. He made his arguments when he commented on the shutting down of the only missionary magazine in Italian. That shutdown – he explained – is an outcome of the crisis of the missions. And the crisis of the vocations to missions – he went on – came from a lack of identity. Missionaries were not preaching the Gospel; they mostly dealt with social issues, leaving the announcement of the faith to the sidelines. This generated a fall in vocations to the missions and in the interest to go on mission. A vision is likely missing now. In the end, Pope Francis gives the impression of acting in a hurry. He listens to many advisors, but then he makes decisions by himself. In some cases, Pope Francis’ choices seemed to be in continuity with those of his predecessors and with the line the Church had always followed. In other cases, there is an evident discontinuity. In fact, one of Pope Francis’ characteristics is this swinging between two poles. For example, he appointed Cardinal Robert Sarah as Prefect for the Congregation of Divine Worship and the Discipline of Sacraments. And Cardinal Sarah certainly has a traditional sensitivity to liturgy, though he is not an expert. But before Sarah’s appointment, the Congregation was stripped of the officials in it that represented continuity in liturgy. Cardinal Antonio Canizares Llovera, the former Prefect, was appointed Archbishop of Valencia. And before that, with an impromptu and unexpected decision, the two under-secretaries of the Congregation, Anthony Ward and Juan-Miguel Ferrer Grenesche were dismissed. They were replaced by a single under-secretary, Corrado Maggioni, who is mostly in the (progressive) liturgical line of Archbishop Piero Marini, once St. John Paul II’s Master of Ceremonies. Another example is given by Pope Francis’ choices at the last consistory, held in 2015. The red hat went to many bishops who in their homeland – but especially at the 2014 Synod where Pope Francis got to know them – distinguished themselves for taking a soft line on doctrinal issues, and who showed themselves to be open to innovation. Will this line be followed for the next consistory, now expected to be held in November? Pope Francis also demonstrates a keen nose for politics. He knows when he has to wait. He is “smart,” as he admitted in his first interview that he granted to the Jesuit-run bi-monthly “La Civiltà Cattolica.” For example, Archbishop Blaise Cupich, promoted to archbishop of Chicago against all expectations, still has not received the red hat. Probably, the Pope is waiting for conditions in the American hierarchy to become more ready to accept Cupich as a cardinal. He demonstrates this same kind of waiting in the cases of other bishops. Step by step, he is carrying forward his real reform, that of the profile of bishops and cardinals. Important indications about how Pope Francis will close the post-Synod discussion may be given by the upcoming trip to Mexico. Pope Francis will also visit Chiapas, a Mexican state characterized by the strong presence of deacons, all married. There are hundreds of them, ordained for the diocese of San Cristobal de Las Casas, while the priests are just a few dozen. The ordination of these deacons took place from 1959 to 2000, and was the work of then bishop Samuel Ruiz Garcia. When he resigned due to age limit, ordinations were suspended following a request from the Congregation for the Doctrine of the Faith. The fact that the Pope is going to visit the area might be used to show that he approves the ordination to the priesthood of ‘viri probati’, that is, men of acknowledged faith who could replace priests in some of their tasks due to the lack of priests. The practice of ordaining ‘viri probati’ was widely discussed in the past, since it is a possible opening to the married priesthood. This opening would lead to the collapse of the obligation of priestly celibacy in the Latin Rite. As this is a hot topic, sources said that the papal nuncio to Mexico as well as members of the Mexican bishops’ conference recommended that the Pope not go there. But he wanted to go anyway, and there is also a possibility that he will pay homage at Bishop Ruiz’s tomb. Ruiz, a champion of liberation theology, was also famous because of his alleged closeness to sub-commander Marcos. Even in this case, realities would matter more than ideas. The Pope would not make any doctrinal change in terms of celibacy, but he might accept what has been done at a local level. He followed this rationale by issuing the decree that changed the Roman Missal on the foot washing rite in the Cena Domini Mass of Holy Thursday. Now it is official that even women will be able to perform as apostles in the Holy Thursday Mass. Many priests have already been doing this for years. Even Pope Francis has performed this rite with women, first in Argentina, but also as Pope, when – in the Casal del Marmo juvenile prison – he washed the feet of a young female detainee who was also a Muslim. The change of the Missal did not come about in a peaceful way, it seems. The papal letter that asked for the modification was dated December 2014, while the decree was issued January 6, 2016. Apparently a wide discussion took place between the letter and the decree. Will realities be more than ideas even in the post-synodal document? At the moment, it is difficult to tell. That the Pope wanted to read and re-read the draft text makes one think that he wants to reflect deeply on that. That there were pressures for a quick publication of the document might indicate a certain nervousness among those who are in favor of doctrinal changes. And that the discussion on the Second Vatican Council was strongly re-opened – there was a media rebound of those who considered the Council a break with the tradition – leads one to conclude that the real issues at stake are much more profound. At the moment, Pope Francis is swinging between the two poles of an old-fashioned faith and a pastoral pragmatism. What will happen if this ambiguity is mirrored in the document? 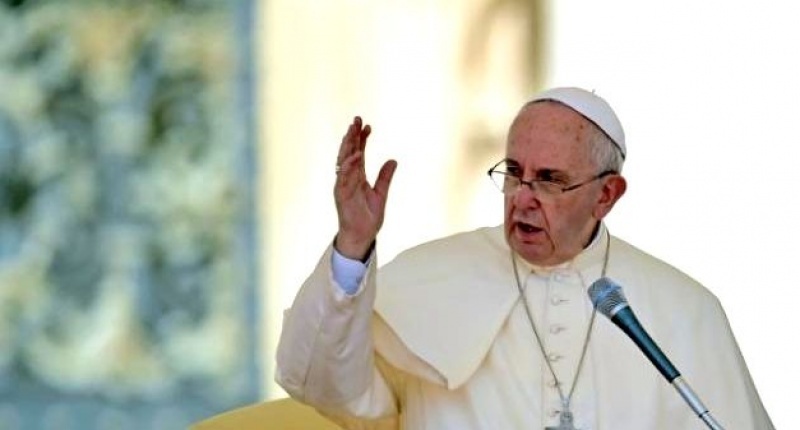 17 Responses to Pope Francis: Praxis vs. Doctrine? Good post. Any insight to what the latest draft of the exhortation says? The CDF comments and reviews gives hope. On the face of it that has some credence, but sophomoric witticisms posing as wisdom are grievously deceptive and misleading. Even dangerous. They are also symptomatic of illegitimate perspectives that ensure individuals and cultures remain in an abyss of mendacity. They serve as a mask. Such a mode of reflection appears endemic with those of a generation born in the thirties and forties. They appear addicted to it, and because it is generational unable to learn from the decades they have walked over the “corpses” of disbelief, of addiction – both chemical and sexual, of culture amputated from cult – reduced to mere tribalism. Art, communication and even theology reduced to tattoos, tweets and cell phones. Given a forty page “note” critiquing a document – author unknown — the ambiguity, the sophomoric witticisms, the folksy little old parish priest deportment is sure to be exposed once again as a pose, a mask. Shock, awe, disappointment will reign again among some of the faithful. Others will munch down the crumb or two of orthodoxy. The masses will applaud and maneuver the ambiguity. Pray I be proved very wrong. Ideas, if by this we mean the doctrine of the Catholic Church, the deposit of faith, are Reality. Nothing is more important than this Reality. And God’s name is not Mercy it is I am Who Am. The pope is an out and out modernist. The ambiguity masks a cold purpose to remodel the Church in his own image. It is long past time to get on our knees and pray for a return to Tradition.